Home › Other › What are the Best Golf Tees? Often overlooked, always underappreciated. No, we’re not talking about you and your job. We’re talking about the almighty golf tee! This tiny golf accessory is an afterthought to most average golfers. While it may seem to you that any kind of golf tee would suffice, the fact is that the tee you use can affect your game. Using a good golf tee, at the properly adjusted height will help you build consistency off the tee, hit longer, and result in lower scores. Of course, the height of the tee depends on your club and your swing, so you will need to experiment with that (check out this basic guide from Golf Samurai). If you are using a different tee every hole, at inconsistent heights, its no wonder your drives go all over the place. Think of it as hitting off rubber mats at the driving range, and real grass fairways on the course. You may be amazing at the range, but when it comes to the course, it’s just not quite the same. In golf, like many other sports, consistency is key! Using a better golf tee could be the key to help you hit more fairways. Here is a list of some of the best golf tees available today to help you find some consistency in your game. This uniquely designed golf tee is the product that put Zero Friction on the map. They were one of the first companies to focus on improving the seldom thought of golf tee, and their success led to a slew of other companies following suit. As you may have guessed from their name, the concept of this tee is that it provides less friction between the ball and the tee. The patented 3-prong top reduces the contact area with the ball by 66%, meaning that there is less resistance on contact, which leads to greater distance, and improved accuracy on your drives. Aiming one prong at the target leads to optimal performance. The only knock on these 3-prong tees is that it can be difficult to balance the ball on top, which can be especially frustrating on windy days. If that is a problem for you, then the 4-prong or 5-prong versions offer more balance. Zero Friction is currently the number one performance golf tee brand on the PGA tour (claims over 70 victories, and 370 top 10 finishes). The tees are also made using environmentally friendly materials, and are available in multiple colors (red, blue, green, pink, orange, white, black). 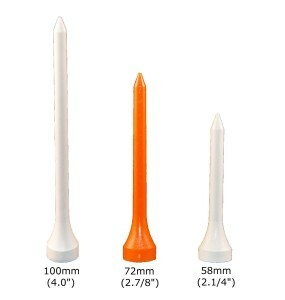 If you want to use what the pros use, then this could be the best golf tee for you! For easier ball balancing, check out the 4-prong and 5-prong versions! 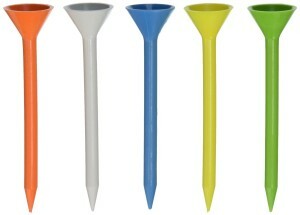 These ultra durable plastic golf tees from Pride Golf Tee are some of the highest rated tees on the market. Similar to the Zero Friction 3-prong tees above, the tops of these tees are designed to provide lower resistance and minimum friction. The main reason why these tees are so highly rated though, is that they are virtually indestructible. You are more likely to lose them than to break them. A pack of 50 will seem to last you a lifetime. Another great feature about these Pride Pro Golf Tees is the colored markings, which will help you set up at the same height every time. The one drawback about these tees are that the plastic material is a bit soft, and they tend to flex a bit more than normal wooden tees. This can make sticking them into hard ground a bit more difficult, and they will also bend out of shape sometimes. If you are constantly breaking tees though, and are looking for more consistency in your drives, then these Pride Golf Tees could be for you. This pack of 50 contains 40 long tees (3.25″), and 10 short tees (1.5″). 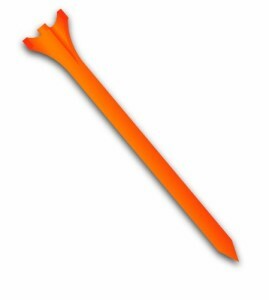 As the name suggest, the Unbreakable Golf Tees’ main selling point is that they are incredibly durable. Of course, they are not actually unbreakable, but they are guaranteed to not break before 100 shots (we didn’t actually test this). Chances are you will the tee before that happens. The Unbreakable Golf Tees also use a special blend of synthetic materials so that the tees will feel, look and play like classic wooden tees. These tees have been used by pros around the world, and are has a multiple winner on the PGA Euro Pro Tour. They do not have any special designed top like the above featured tees, but if you are just looking for a classic tee that is about 100 times more durable, than these Unbreakable Golf Tees might be the best ones for you. The only downside is that they are quite a bit more expensive than your average tee. So, don’t lose them! 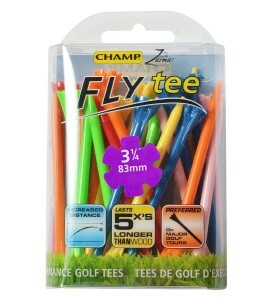 The FLYtees from CHAMP are some of the most well-rounded golf tees on the market. They give you a little bit of everything. For you tee smashers, it uses extra durable, evironmentally-friendly, plastic material so that they last five times longer than regular wooden tees. The 6 pronged contour head also makes it easier to balance the ball on top, and reduces friction with the ball for longer, straighter drives. They also come in a variety of nice, bright colors for those who like to look a bit different from boring white tees. Would you like that shaken or stirred? The main feature of the Martini Golf Tees is that they lead to farther straighter drives than your average tee. This is because of the large top design (that looks like a martini glass of course), which reduces resistance on impact by tilting the ball towards your target by an extra 20%. 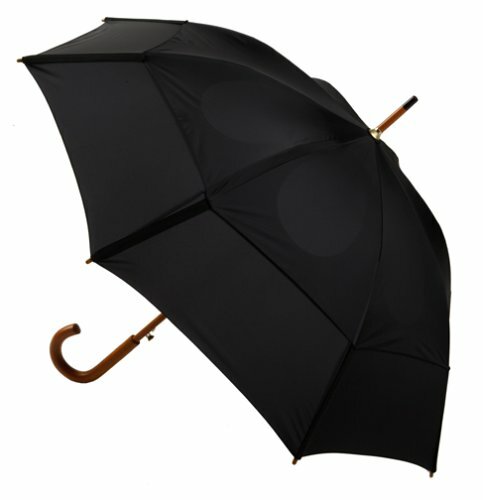 The larger than average top also makes balancing the ball on the tee much easier. This is especially useful for those with shaky hands. Martini Golf Tees are made from a special polymer material, so they will last much longer than your average wooden tee. They also come in a variety of bright colors to suit your tastes. These tees are only available in one size though (3-1/4 inches), which is tall enough for most modern day drivers. The only negative point is that Martini Tees are almost ridiculously expensive (nearly $1/tee), so don’t lose ’em! If James Bond played golf though, he would probably use these tees. Buy the Martini Golf Tees here! The simple golf tee may appear as an afterthought to most golf players, but it can actually have a material effect on your game. It will take some trial and error, but if you want to shave a couple strokes off your score, perhaps having the best golf tees on your side can help. ‹ What are the Best Golf Hats? Hi, plastic material should now be a no go!